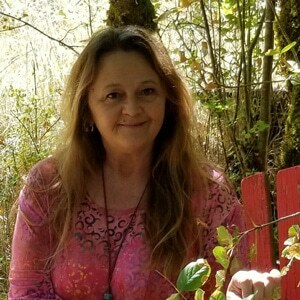 Medina K. Van Alstyne is a Life Enrichment Care Coordinator, Certified Behavioral Therapist, Holistic Health Practitioner, and RCFE Administrator. She graduated from The California Institute of Healing Arts and Sciences in 2010. She began her career in Healthcare as a Psych-Tech at Coffeyville Memorial Hospital Medical Center in Coffeyville, Kansas, in 1980. Medina has continued serving in healthcare, specializing in geriatrics ever since, by providing quality services in the activities field for skilled nursing facilities over the past 10 plus years, here in the Sacramento Valley. She has served as a volunteer with the Alzheimer’s Association. Her personal and primary focus of her work is quality of life for the senior population in Sacramento. Her life experience has taught her how important and sacred each individual’s life story is, and that it should be honored and valued more in our society. This is why she has dedicated her life to help enrich the lives of others through listening, coaching, self-expression, and support. Medina enjoys working with seniors, families, and the community to establish solid and meaningful, long-term relationships. We are grateful to have her serve as the Activities Directior for Summerset Senior Living, Rancho Cordova.